Are you an entrepreneur who manages your enterprise with phone apps? There are excellent apps for every business process imaginable. Some business owners with a small team overlook employee scheduling apps. They don’t believe they need one yet. When you think about, you are already using your phone to schedule employees. You send texts to remind people of a change in hours. Employees call in sick. They request shift changes and days off with texts or emails. Some employers post the schedule on Google Sheets. Employees use their phone to access the website. Some business owners email the schedule to employees. All of this is done using mobile technology. It makes a lot more sense to use a dedicated scheduling app for all of these processes. Even when your staff is small. Let’s discuss how a scheduling app works and how it saves time and money. Work schedule apps let you build schedules quickly with templates. Easy, graphical interfaces color code employees, shifts, and locations. You pull employees into shifts. Refine the template to create your own master schedule. Then copy forward and adjust as necessary. View schedules for multiple teams or locations at once. Employee scheduling apps are light years ahead of spreadsheets. Employees access the schedule on their smartphones. You and your team members use the app bi-directionally for all schedule processes and communication. Scheduling apps that combine employee timekeeping are even more powerful. Employees use their phone to access an online clock in portal. As they clock in and out for shifts, the app creates time cards. The hours are tallied in real time as employees work their shifts. At the end of the pay period, you approve the time cards with the app. The employee hours are now ready for payroll. You can cut checks manually, import the hours into payroll software, or send them to an outside service. That’s a basic overview of the mechanics. Now let’s talk about higher functions. Scheduling apps are customizable. You enter each employee’s contact information, phone number, work schedule, and shift preferences. Plus, full-time or part-time status and their skills and certifications. You also enter rules for the shifts. These include coverage levels, skill requirements, and ideal team make-up. The app will send schedule notifications automatically to your employees’ phones. This includes an alert when a schedule is posted or if there are changes to an existing schedule. But, as mentioned before, the interaction is bi-directional. Employees communicate with you about the schedule. 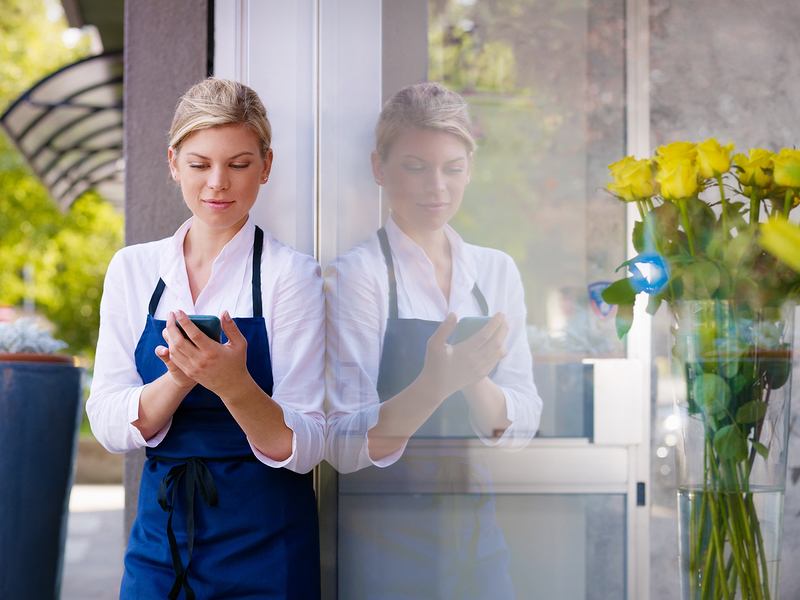 If you allow your staff to trade shifts, that can be handled through the app. You can set the app to auto-approve or manual approve. Choose your level of control. If your employees are responsible, let them handle scheduling. You can exercise as much oversight as you want, but the app handles the heavy lifting. Employees post and request open shifts. The app sends an alert when a trade is approved. Overtime rules trigger alerts when an employee is approaching 40+ hours for the week. You can decide whether to send the worker home or sub a part-timer or lower-paid employee. Notice how you are alerted before you have to start paying time-and-a-half. What if an employee calls in sick? Your work schedule app will pull up a list of employees who are available to cover. You won’t have to look at the schedule and figure it out on your own. Do you have multiple stores, sites, or offices? Your app will notify you if you try to double-book an employee at two locations. Speaking of oversight, work schedule apps are ideal for fleet service businesses. GPS tracks your mobile employees whether they are on a call or in transit. Geo-fencing prevents out-of-area punch-ins. This eases your mind when you send a new employee out to make calls. You can verify the location of the employee throughout the day. Neither of you will need to phone or text to communicate about the worker’s whereabouts. Now that we have described how employee scheduling apps save time, let’s look at how they save money. Paying your employees probably represents the largest chunk of your overhead. This is true for most employers. Using a work schedule app will lower your labor costs. When you are alerted before overtime situations occur, you save on unplanned overtime. If you haven’t been able to rein in overtime, this will help a lot. Schedule rules ensure adequate shift coverage and prevent overstaffing. If overstaffing has been a problem, you will save here as well. Let’s talk about time theft. If you have a small team, you may trust each one. Hopefully, your trust is not misplaced. As your staff grows, however, you will eventually have an employee who commits time theft. Time theft is where an employee exploits the system so they are paid more than they are owed. This usually happens in small increments. Clocking in ten minutes early on Tuesday. Clocking out fifteen minutes late on Thursday. You’re busy. You don’t have time to verify clock in times for every employee and every shift. Perhaps your employees are supposed to punch out for meals. Do they always do that? Do you ever check timesheets to verify? Hopefully, you don’t have flagrant abusers who are so bold as to buddy clock for a co-worker who shows up two hours late (or not at all!). Timekeeping apps protect you from inflated labor costs due to time theft. But you are also protected from inadvertent time theft. This is where a well-meaning employee fills out a timesheet at the end of the pay period. Most of us have too many things on our mind to remember exact punch times after the fact. Work schedule apps protect you from memory lapses. Labor savings translate directly to a more robust bottom line. Plus, it frees up capital for marketing or hiring another employee. Each dollar saved can be used to grow your company or pay off a business loan more quickly. SwipeClock scheduling apps help entrepreneurs and SMBs save money and improve efficiency. To learn more, visit TimeWorks Mobile.